The Middle Stump: Every Little Helps? MacLaurin's case that there should be a smaller and more elite group is typical of the man who presided over the ECB between 1997 and 2002, coincidentally for a period when England were bottom of the Test rankings. Funnily enough it was also a period just prior to when cricket was removed from our free screens and moved to a pay-TV channel exclusively. Making cricket more elite, and less inclusive to many is exactly what is wrong with the sport at present. The selling off of school playing fields in the 1980's was criminal and now we are already seeing a lack of kids from our inner cities playing the game? Look at the national side and where many of them were educated. Hmmm. If you go back twenty years or more, we had many cricketers from Afro-Caribbean backgrounds coming through our system - De Freitas, Lewis, Cowans, Tudor, Ramprakash, Alleyne to name but a few. There were systems in place such as the excellent Haringey Cricket College which produced the likes of Mark Alleyne and Keith Piper for the professional game, as well as offering those who didn't make the grade a proper trade, such as being a cricket groundsman. Look at recent years with just Michael Carberry from this group making the England side. Why is this? Many of the ancestors of the West Indian community who came to Britain in the 1950's and 60's have turned off from cricket and switched purely to football and that is sad. Lack of cricket in schools, the exclusivity of Sky TV showing the game to the children of parents who can afford to watch the sport and lack of space to play the game in our inner cities are just a few of the reasons why this is happening. Cricket is just not deemed to be a cool sport to these kids. There is an Asian population here in the UK who are cricket mad, as viewing figures for IPL matches show. However how many of these guys from our capital cities how many have come through our system and have played for England? Ravi Bopara is the only one I can think of in recent times. Now the system seems to be full of kids who have gone to public school. That surely cannot be a good thing? Cricket needs to be back on terrestrial tv. Get the T20 back on there and get the kids into it. Show a Friday night game live and get it on free to air tv. Let's make the pool of potential cricketers larger and not smaller, or more elite where the bourgeoisie of middle England keep the game for themselves. Don't get me wrong, Sky have offered many marvellous things to television watching of cricket and should be applauded for bringing large sums of revenue to the game. I'm not saying that it should all be back on free to air tv but like football has Match of the Day on BBC1, let's get cricket on a station that we can all watch and get the kids wanting to emulate the professionals. Let's not blame the counties either as MacLaurin has done. Although the system in my opinion to reach this goal is not right, once they get to the professional game there are many positives. County cricket is a decent system which is producing some good players and to wipe out the history of years of these clubs would be a travesty. Merge Yorkshire and Lancashire? There'd be a riot. Middlesex and Surrey? You're having a laugh, as they say in London. There has been a lot of talk regarding franchises in recent years, but having travelled to Taunton and Cardiff during the T20 to promote our book last year, I am firmly against this. To see grounds full of people supporting their communities, their patches, their people, was a wonderful experience and I couldn't imagine those Somerset fans that we met travelling up the M5 to Bristol on a Friday night to support 'The West', for instance. I'm sure most Somerset fans would prefer to support Fred West in Gloucester than 'The West' with Gloucester. I'm sure it would also be the smaller, non Test playing counties that MacLaurin has in mind too as opposed to the bigger clubs where the 'old boy' network is fully and firmly in place. David Smith, the Chief Executive of Northamptonshire argues that the system is producing players of international calibre already. Northamptonshire was the least well attended county attendance wise in recent years, yet they have produced a number of home grown players bringing them through the system. No doubt the chaps at Wantage Road would be exactly who MacLaurin would have in mind. Surely the aim of everyone's game is to make the England side stronger? So why make the pool of players coming through to the professional game smaller in the way that we have done in recent years? Why make the pool of players smaller that will come through to the national side too as MacLaurin has suggested? It just doesn't make sense. Do MacLaurin and his cronies want to make the game for just a select few? We argue that it needs to be played, and watched by more. As Kent member I have no interest in watching Sussex (unless they're playing Kent) or any hybrid team. I suspect I'm not alone. Those who support amalgamation never suggest that their team is one to go - Michael Vaughan didn't suggest Yorkshire should join with Lancashire, or Mark Nicholas that Hampshire should move in with Sussex. Durham are perhaps demonstrating the best way to break the mould of public-school-boy-cricket. The North East places a lot of emphasis on the development of its young players at club level, feeding in to a high-quality academy system at Durham where the players are then nurtured into good quality county players and some into England players. Onions, Plunkett, Harmison, Mustard, Stokes and Borthwick all benefited from this. Many Durham players come from working-class backgrounds where the local cricket club helps bind the community together, and it works fantastically. Hopefully such communal pride can be placed in the game and young players in more areas of the country. Both excellent points. The thought of me as a Middlesex man supporting London at the Oval is not a good one. Matthew, I personally feel it is fantastic what Durham have done and the England players they have produced needs applause. I wish other counties had the same attitude. Graham Wright put this rather well in his book Behind the boundary. One of the observations Wright makes is that we English are by nature tribal in many areas which include politics, football, rugby and cricket. He notes that whilst players move from club to club, spectators and supporters do not. Underneath it all, the average supporter of county cricket wants nothing more than that their native born players to take on and subdue all comers. At the same time, we will not form artificial alliances with our traditional opponents simply because it is thought to be “the new way”. Kent supporters just cannot decamp to Hove on the basis that the sun always shines at the seaside, nor can Middlesex supporters screw up their courage and travel south of the Thames to visit the Oval - there is far more at stake than that. Firstly there is very little in this article that I actually agree with. Lord MacClaurin has been one of the most important figures English Cricket has ever seen. Yes during his reign we reach the bottom of the rankings but you cannot say that slide started long before tenure began. MacClaurin's appointment of the likes of Duncan Fletcher and introduction of central contracts were key to us regaining the ashes in 2005 and latterly world numero uno. MacClaurin's stint at the top also brought about massive sponsorship deals with the likes of Vodafone which helped pay for the big money contracts England player now have. Imagine if the ECB couldn't afford these contract? How poor a state would the english game be in if players followed the likes of Pollard & Gayle and turned their back on their country to chase pay checks around the T20 circuit? As for the Afro-Caribbean fraternity, I think you need to look across the atlantic for those reasons. The culture of the young now doesn't have time for cricket, people are far more interested in the Premier League or the NBA, cricket just isn't interesting to those of young afro-caribbeans. Anyone who has watched the IPL or the BBL will see that franchise cricket within T20 works. Personally I think for counties and T20 within England to be competitive franchise cricket is the only way. 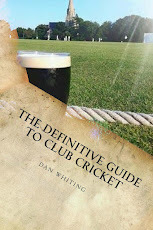 There is just too many counties and too much cricket to appeal to the followers of the game. Last few seasons fans have complained that there is too much t20 in the short space of time and can't afford to go twice a week essentially. Now its every friday, which is great apart from the fact who wants to freeze their a**e off on a friday night in april watching a side that would have the global superstars that the compacted tournaments of IPL and BBL can attract. Also my pet hate regarding cricket for kids is the current exam systems. Anyone who coaches youth cricket will know that between the ages of 15-18 you lose half of your kids to revision timetables. Within many schools cricket just stops because the kids are away on study leave. For my school it was criminal, East Barnet school, nothing flash no great cricketing heritage but in my first year we were runners up in the middlesex cup, winners of the Barnet cup. 2nd year we won the middlesex plate and won the Barnet cup again. After that school cricket ceased to exist as SATs/GCSEs/A-Levels took precedence during the summer months. What a travesty for the schools most successful cricket team ever! I think the chance2shine initiative is fantastic for schools but clubs need to get more involved by making their facilities available for schools to use their pitches. Also where teachers don't have the time or the interest in cricket, volunteers should be used to manage and run teams. A lot of truth in that. No self-respecting Yorkshire or Lancashire supporter would want their team to become a hybrid with another county, and the same is true of most cricket fans. I would love to see more cricket on free to air TV. One of the reasons T20 cricket is more popular than other formats in England is because the IPL has been on ITV4, giving them access to the game. I imagine if longer formats, though perhaps not the Championship, were made so accessible, they would rapidly grow in popularity. Apart from anything, one of the joys I had growing up was having live Test cricket on Channel 4, allowing me to dip in and out as I felt like it, whilst also being able to watch the 2005 Ashes live. The 2005 Ashes inspired my generation to take to playing cricket on the school yard. Now, what is there to have the same impact? Few people get the same joy out of following cricket through the BBC website or Cricinfo. As good as their coverage may be, it just does not inspire the same enthusiasm. What is really needed is to create a T20 competition that competes with the IPL and the BBL. Short and sharp and attracting the games big names. We have some of the best T20 players in the world (Hales, Lumb, Wright & KP to mention a few) even if the younger generation get hooked in by T20 they will soon appreciate the differences in style and game that the longer formats offer.